1. The Third Oldest Airline in the World. The Australian airline Qantas took off for the first time in 1920 making it the third oldest airline on earth. Only the Dutch carrier KLM and the Colombian Avianca have been operating longer than the Australian flag carrier. 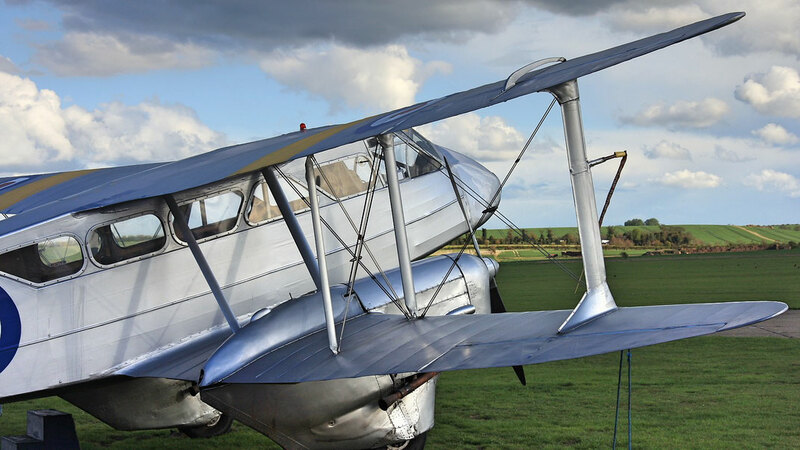 The company was founded by Hudson Fysh and First World War Ace Paul McGinness in Winton, Queensland. The airline initially linked the Northern Territory with Queensland conducting taxi and joy flights as well as delivering air mail for the Australian government. 2. Founded as Queensland and Northern Territory Aerial Service. A frequently asked question when spotting the 'Flying Kangaroo' is regarding its name and what Qantas actually stands for. This one is actually pretty simple and straight forward, QANTAS literally stands for "Queensland and Northern Territory Aerial Service". As mentioned above, the airlines roots are in Queensland and in the beginning it exclusively operated flights between the Sunshine State and the Top End. 3. Darwin to Singapore was the first Flight to Overseas. Qantas made it's international debut on the Darwin - Singapore route in May 1935 on a De Havilland 86. The trip took almost 2 days with a stopover in Rambang, Indonesia. Singapore, which was still part of Malaysia back was the final stop for the Qantas flight. 4. Qantas co-founded the oneworld alliance in 1998. Qantas together with American Airlines, British Airways, Canadian Airlines (merged with Air Canada and left the alliance) and Cathay Pacific to form one of the worlds best alliances. Oneworld was been awarded best alliance from 2013 to 2015 at the yearly Skytrax awards, the 'Oscars' of the aviation industry. By 2017, aviation giants as Qatar Airways, Japan Airlines or SriLankan Airlines are all part of the clan. 5. In 1959 Qantas welcomed its first Jet. In 1959 travelling overseas from down under became so much more convenient and faster when the first jet, a Boeing 707 entered Qantas fleet. On 29 July 1959 the 707 took of from Sydney to San Francisco with a stop in Nadi, the capital of Fiji from where it would continue to Honolulu in Hawaii before making it to California. John Travolta, Hollywood actor has its very own Boeing 707 which was originally delivered to Qantas in 1964. 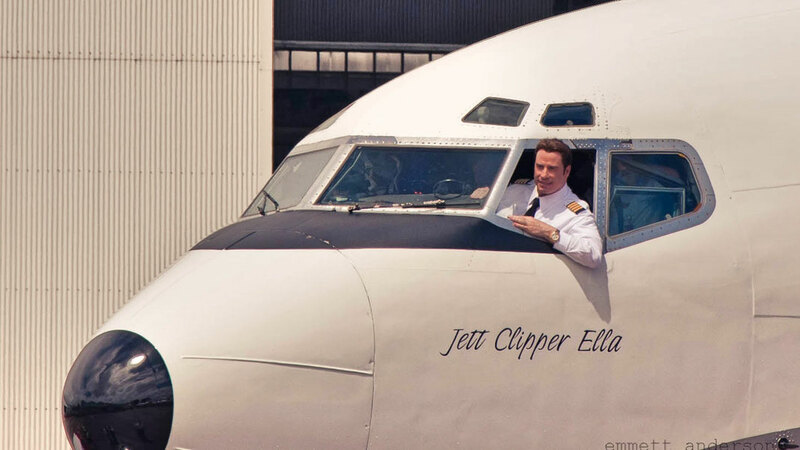 Only recently the actor announces that he would donate the jet, which is one of the few 707 left on earth, to the Historical Aircraft Restoration society (HARS) based in the town of Albion Park south of Sydney. 6. Dallas to Sydney is Qantas longest Flight. The 13,799km long journey from Dallas to Sydney used to be world longest flight until Qatar Airways launched it's direct Doha - Auckland service in February 2017. Flight QF8 needs 17 hours and 5 minutes to complete the journey. The flight is operated by an Airbus A380-800, the worlds largest passenger aircraft. 7. Perth to London first direct link to Europe. The 24th of March 2018 is scheduled to see the first ever direct link between Australia and Europe take off from Perth International Airport to London Heathrow. 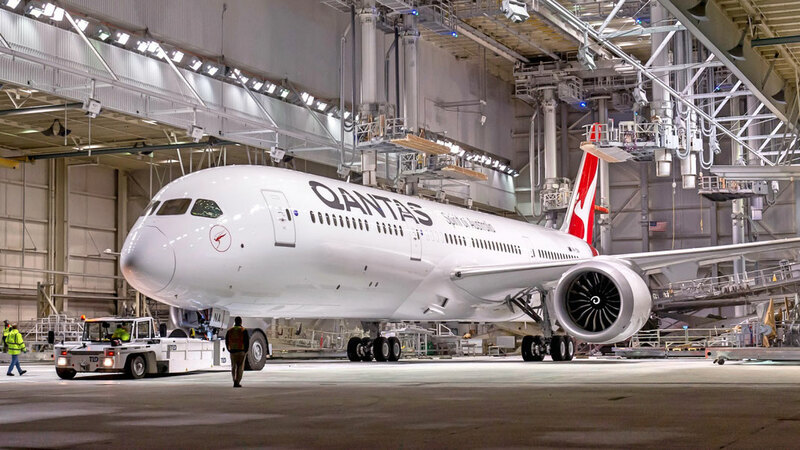 The Australian flag carrier just received it's first new generation Boeing 787-8 Dreamliner jet which is capable to cover the 17-hour long journey all the way to the United Kingdom. In addition to the first direct flight, Qantas Airways is aiming to start direct flights from Sydney to London in 2022 as well. 8. Qantas Flight 32, an almost tragedy. Qantas Flight 32 was a scheduled passenger flight that suffered an engine failure on the 4th of November 2010 just 4 minutes after take off and made an emergency landing at Singapore Airport 2 hours after it departed after extensive fuel dumping. The failure was the first of its kind for the Super Jumbo, the world's largest passenger aircraft. It marked the first aviation occurrence involving an Airbus A380. The pilot in command of the aircraft was Captain Richard Champion de Crespigny. 9. Jetstar Airways is Qantas budget Airline. In 2003 Qantas founded Jetstar Airways as an answer to the low-cost airline Virgin Blue (Now Virgin Australia) which entered the domestic market in 2000. The Melbourne based airline has grown extensively in the past years and now operates a vast domestic and international network. Jetstar is a classical budget airline and any add-ons come with an extra fee such check-in baggages, food or other extras. 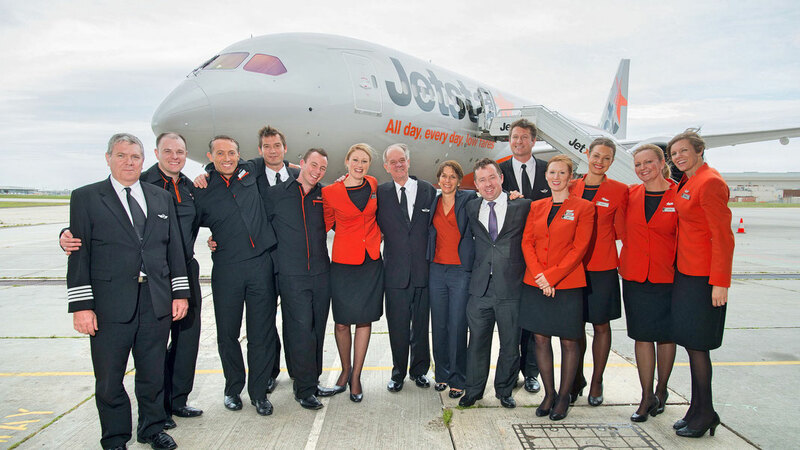 Jetstar operates a modern fleet consisting of 11 Dreamliner's and 53 Airbus A320's. 10. Qantas finally connects Sydney and Beijing. On January 26 in 2017 Qantas brought the Kangaroo back to China's capital Beijing after a 8-year halt of the route. Australia is seeing a massive increase of tourist coming down under and the Australian carrier is looking to introduce more direct flights between the 2 nations. 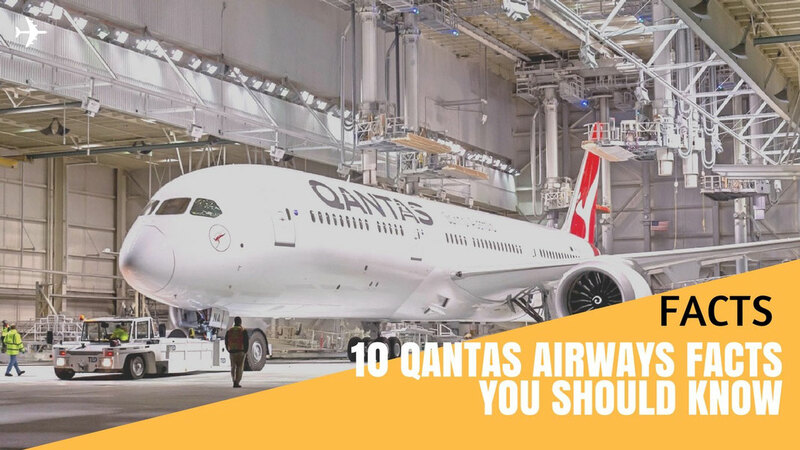 Chinese airlines such as Hainan Airlines, Xiamen Air or China Southern are introducing new flights to Australia on a monthly basis and so its just natural that Qantas is trying to grab a piece of the huge Chinese cake.